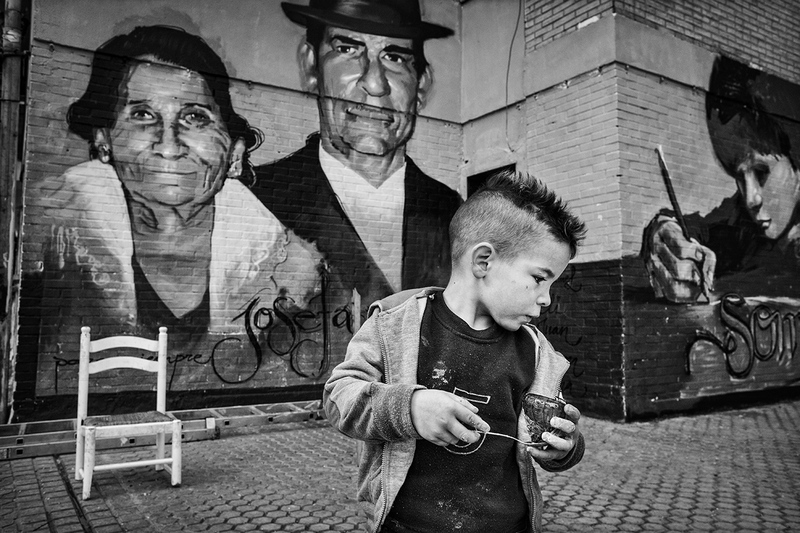 A child of Roma ethnic origin stands in the playground of Menendez Pidal School in a depressed neighborhood of Seville. A child from a poor, unemployed family reaches for a snack in a depressed neighborhood of Seville. 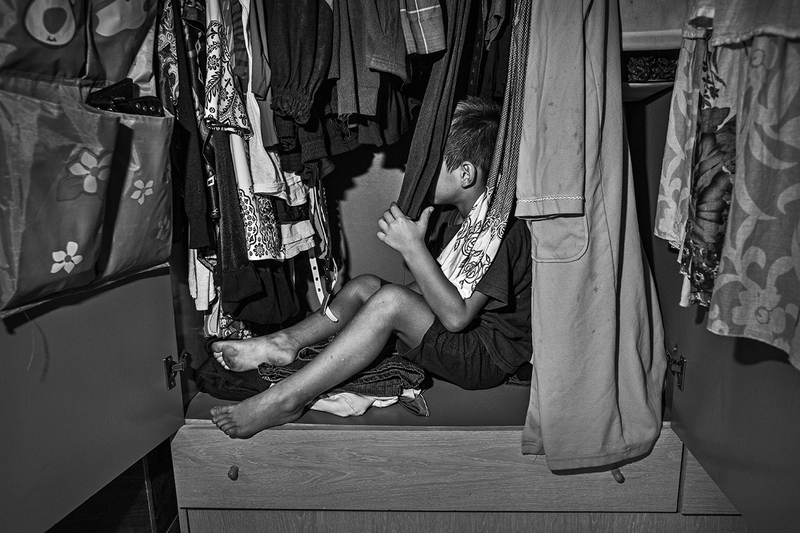 A child plays in the closet of a poor, unemployed family in a depressed neighborhood of Seville. 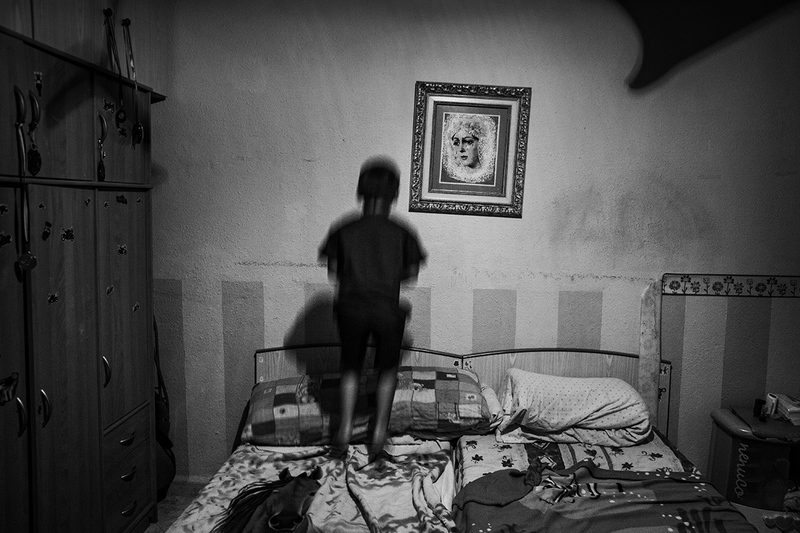 A view of the children’s bedroom of a poor, unemployed family in the Palmete neighborhood of Seville. 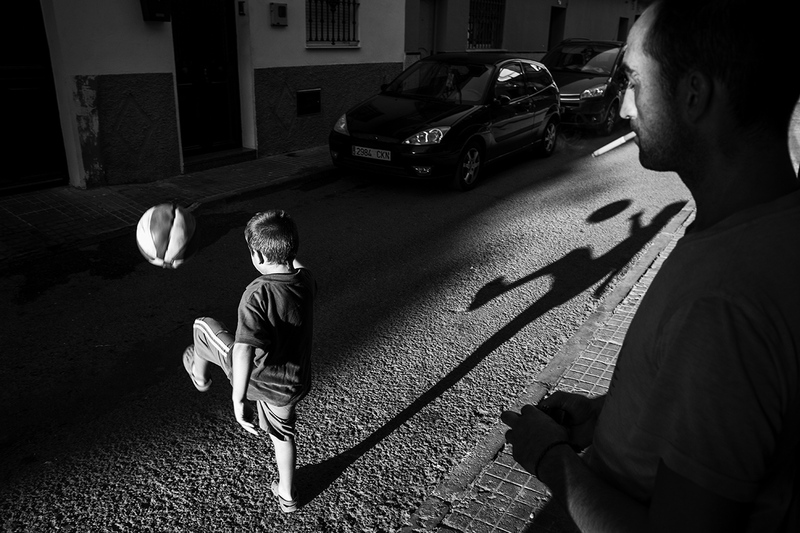 An unemployed father of a family of humble origins watches his son play soccer from the doorway of their house on a street in a depressed neighborhood of Seville. Art. 47. 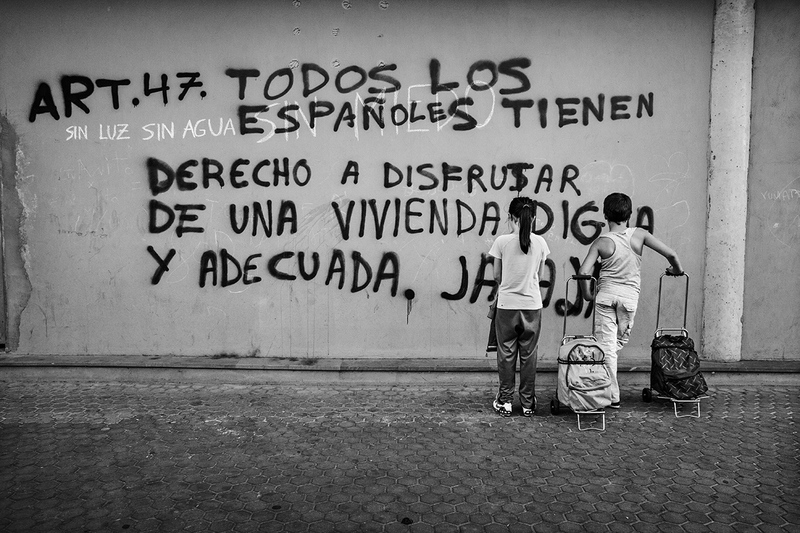 All Spaniards have the right to decent and adequate housing. * Article 47 of the Spanish Constitution. Seville. 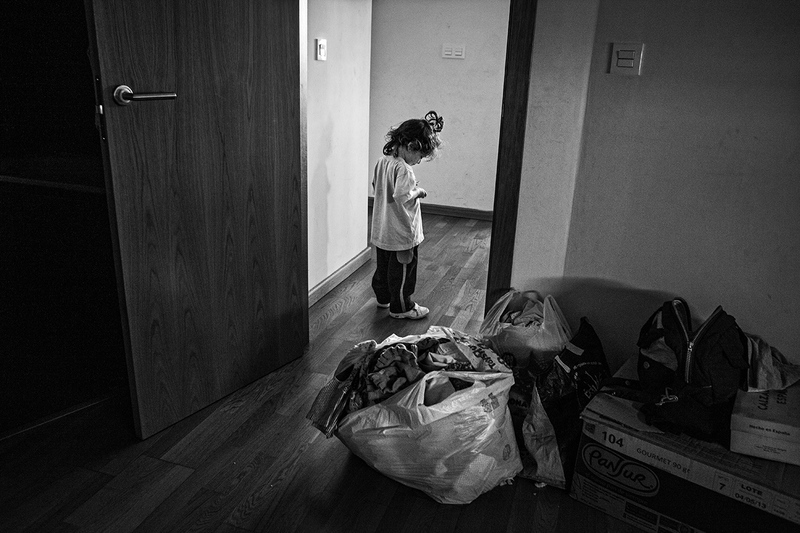 A child of an unemployed family inside a newly constructed building expropriated by a bank and occupied by homeless families in Corrala La Utopia, Seville. 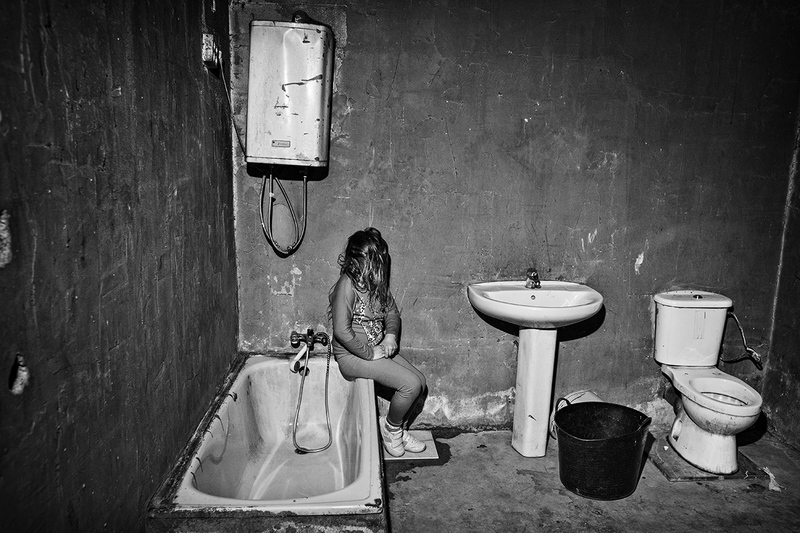 A girl in a bathroom of a prefabricated house in a shantytown of Seville. Two boys from the slums are washed and bathed by Social Service employees from the City Council of Seville. An immigrant woman of sub-Saharan origin is unemployed and with two children. 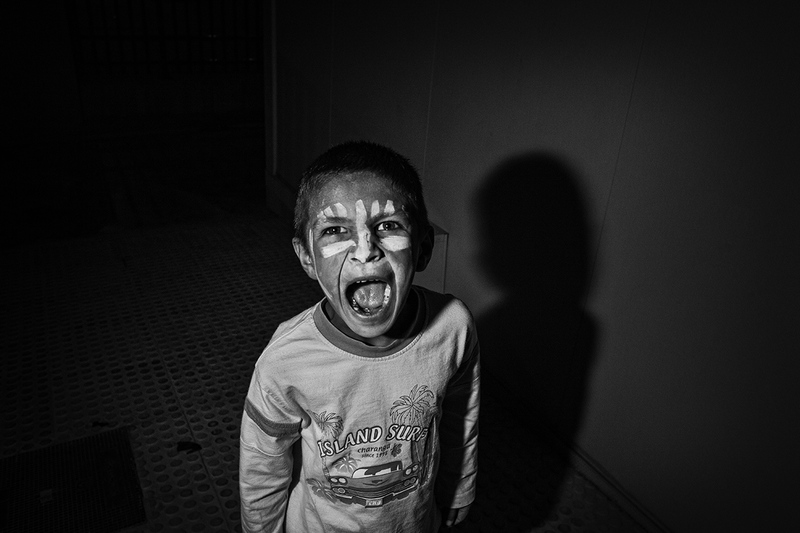 A Roma boy with adjustment problems plays while he is taken care of by Social Services from the City Council of Seville. 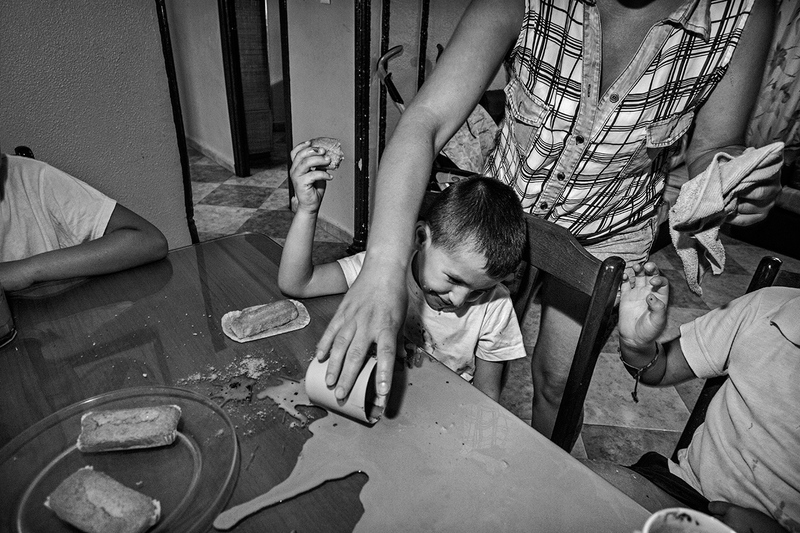 Women volunteer their time to take care of children from families who are out of work and without financial means at the Maria Angeles Nursery in Aliento Association, Seville. 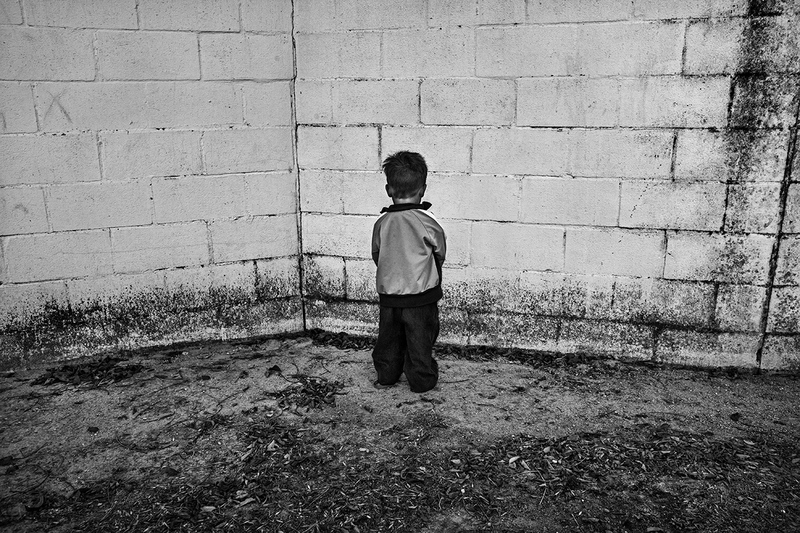 A child from an unemployed family plays in the doorway of his house in Las Vegas neighborhood, Seville. 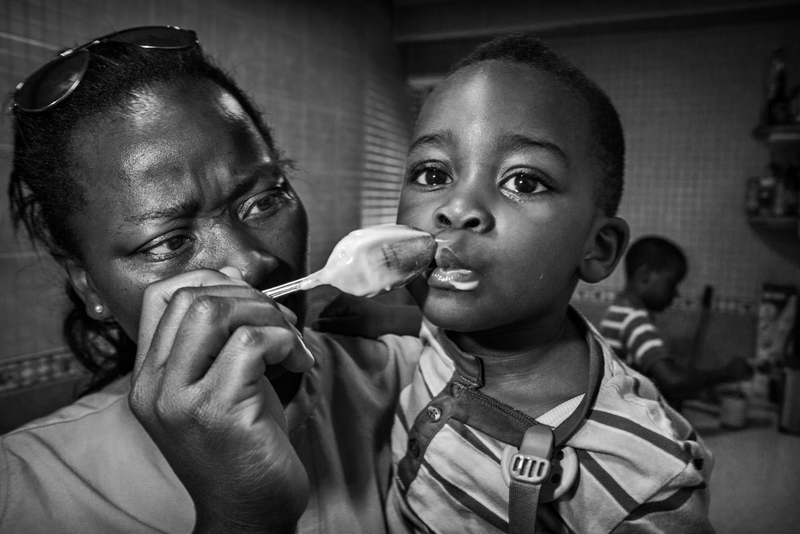 A child from an unemployed family without means is attended to and looked after at the Maria Angeles Nursery, Aliento Association, in a shantytown of Seville. 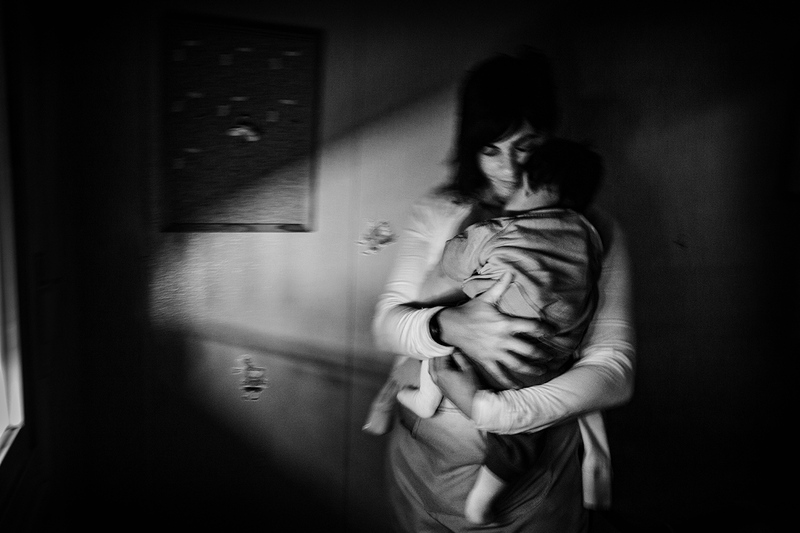 An immigrant woman of Moroccan origin without work and with five children receives help from the NGO Save the Children. 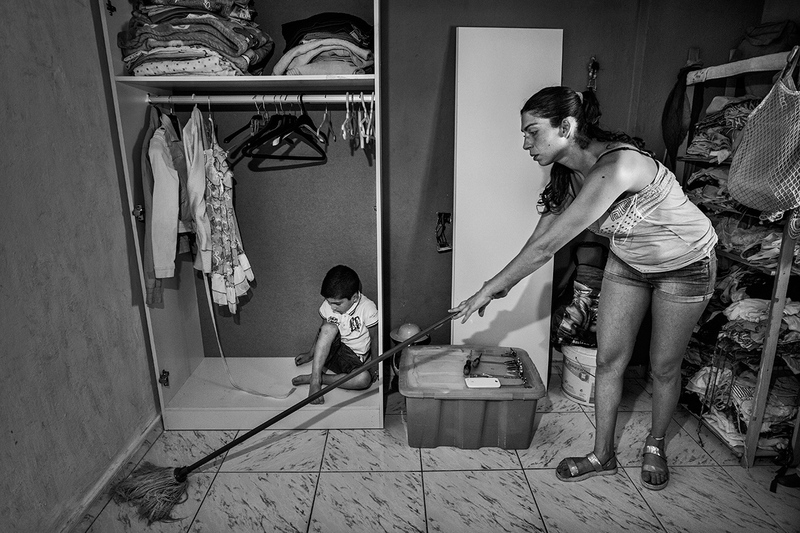 A woman from a working class district of Seville scrubs the floor of her home while her son plays on the floor. Children from a family of working-class neighborhood take snack after coming home from school, they receive help from the NGO Save the Children. 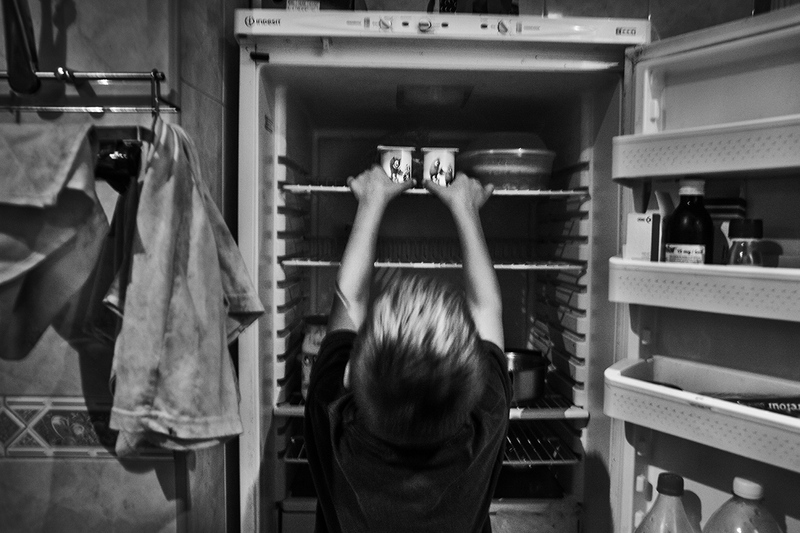 The project has been carried out in various neighborhoods and child centers in Seville and Madrid to illustrate the report on child poverty in Spain presented by Save the Children (2014). 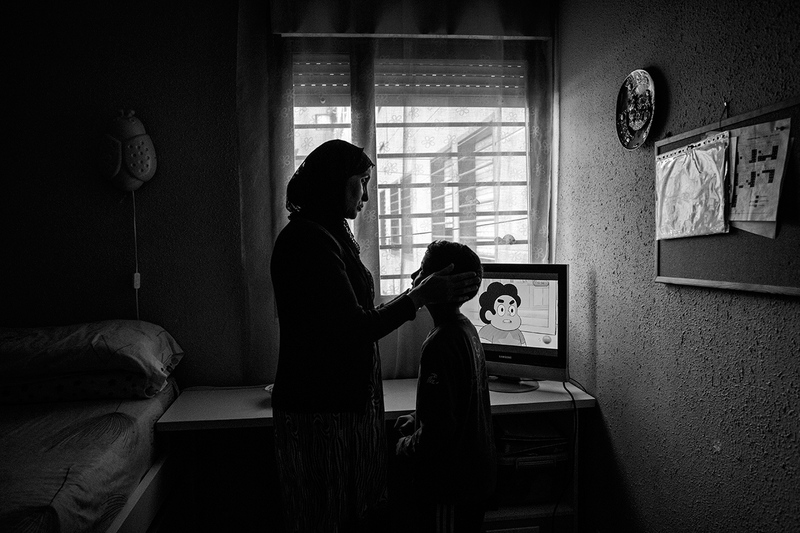 The stories that have been captured in the selected photographs document a problem that currently affects 2.826.549 boys and girls in Spain: one of poverty and social exclusion. Children in Spain are present citizens and key actors of the future of this country. The economic crisis has exposed many families to the effects of lower income, which has increased the rates of poverty and social exclusion. 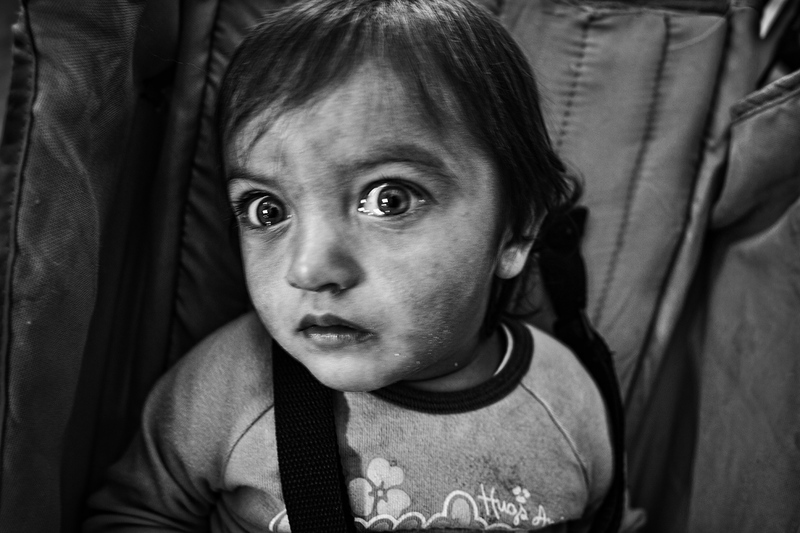 It is a severe situation that takes place in the everyday lives of children, becoming an obstacle for the enjoyment of their human rights (right to shelter, right to food, right to education, right to health, etc.) as enshrined in the UN Convention on the Rights of the Child. Baka. 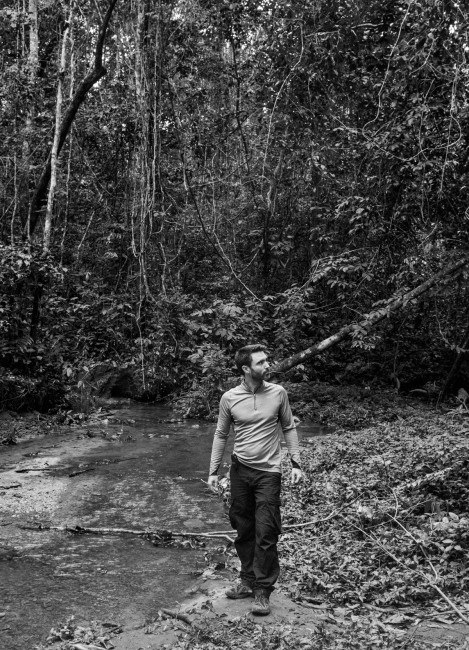 Guardians of the forest. By Aitor Lara — The Baka Pygmies of Cameroon are facing a serious departure from their traditional way of life due to the increasingly sedentary lifestyle that has..
By Aitor Lara — During the spring and summer festivals, Seville and Ronda hosts some of the most important contests in the bullfighting world – drawing in people..
By Aitor Lara — Project summary This project exposes the challenges of the Baka People in Cameroon as they are loosing their own land and indentity threatened by..